Wise words, and even truer today! 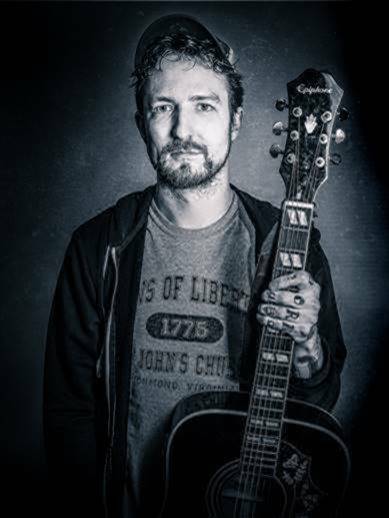 Folk/punk singer-songwriter Frank Turner also believes in the value of kindness and the title of his latest album – ‘Be More Kind’ – reminds us of its importance. “Be More Kind” is no lone cry in the wilderness either. Frank will be playing Seattle in the States on 7th September 2018 (at Seattle Moore Theater) and in honour of the event, the Mayor of Seattle has declared that the day will be officially named “Seattle, Be More Kind Day”. As Frank himself Tweeted: “The mayor of Seattle has proclaimed Sept 7th as Be More Kind Day! I’ve partnered with @theworldisfun to start conversations about social good and kindness. Visit Be More Kind Day and get involved by sharing the good you and your community are doing using #BeMoreKindDay” What’s more, Frank heeds his own advice and has recently become a patron for WaterBear (Brighton’s new, state-of-the-art private music college), sharing his expertise and advice with their students. Frank will also be cutting the ribbon at WaterBear’s official launch next month and giving a special performance to mark the occasion. “Here at WaterBear HQ, we’ve just heard the fantastic news that the mayor of Seattle in the US has decided to declare Frank’s visit to the city Seattle – Be More Kind Day”, says Adam Bushell (CEO of WaterBear) “We think this is an amazing idea and fully deserved by such a great artist. WaterBear will be setting the wheels in motion to see if we can get our own city of Brighton, UK, to follow suit! ‘Be More Kind Day’ is something I’m sure that the great people of Brighton would embrace and get behind – so let’s get this happening here! Hats off to you, Seattle, and huge congratulations Frank!” Be More Kind, and do yourself a favour by checking our Frank Turner’s latest release!